Happy Thanksgiving! I have something exciting to share today! A little thank you gift, if you will. You might remember me showing you my loot from Quilt Festival and how Mr. Relish was so helpful in carrying my bags. Well, in those bags was a receipt for EQ7 and that lovely software came about two weeks ago. One of the first things I designed was a quilt that had been floating around in my head for months. I started to notice a trend coming back and that was the southwest motif look. It is all over the place; clothes, sweaters, tights, bedding, décor... (check out my Pinterest board to the right). Even at the Chi Omega Christmas Market in Dallas this past weekend, I couldn't get over the amount of southwest inspired clothes and sweaters there. I knew when I got home, that I must finished my quilt! And that I did! 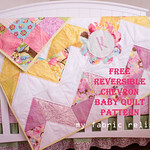 Sooooo, here it is, my quilt and a FREE pattern! I made the pattern and instructions before I made the quilt so I was able to be my own little pattern tester. If you have any other issues, please let me know so I can fix it. This top is super easy to cut and piece. I did both in one weekend during nap times. It measures 72 x 84 inches finished, so quite big. I decided to just quilt lines because of the size, but tried to outline some of the motif. I really should have just quilted straight lines, because it was a BEAST to quilt on my little machine. It makes me want a wide throat quilting machine more and more every day. I picked fabrics exclusively from my stash, which are mostly my Stash Builders from Pink Castle Fabrics. The back is from the front's leftovers and then the two large panels are from Hobby Lobby. They were for dresses for the relishes, but never got around to them. So, luckily I had 1 1/2 yards of each. If you are interested to know what all the fabrics are, I will be happy to research it more. I do know that the middle floral is Hand Drawn Garden by Anna Maria Horner and the background is Crosshatch in black. I promised some of you I would let you know what I thought of EQ7 and..... I love it! Still learning so much, but have to give Moda kudos for having a photo of each fabric by line in easy to download zip files. Makes it super easy to download fabrics onto EQ, especially the Bella Solids, which I used for the pattern design! I have another free pattern in the works that will be shared in the next couple of weeks...and there will be a giveaway! So make sure you follow me! Oh that is lovely! 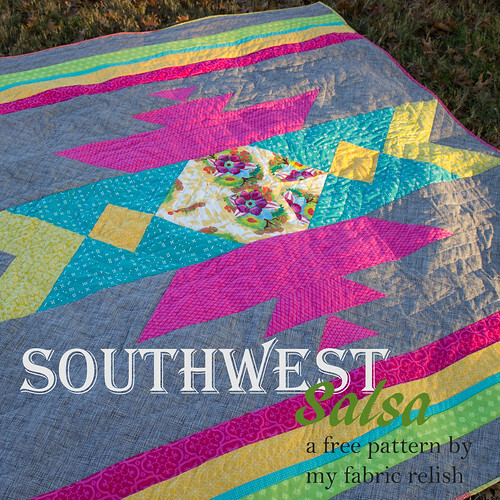 I'm overwhelmed with stuff to get done quickly, but I'm going to save the pattern; I have a friend in Albuquerque who loves the southwestern designs and it would be great for her birthday. Thanks for sharing!! Thanks so much Paula! I know the feeling! Hope you get to make it for your friend! Happy Thanksgiving! this is beautiful, can see you will gets lots of use out of your EQ7 it is something I can only dream of having! thanks so much Margaret! I am so very happy with my purchase and more happy to share my creations with my bloggy friends! have a great rest of the week! Very nice! Extremely generous on your part to share your pattern. Thanks, Dawn! Happy to share!! This is awesome!! I love the colors/fabrics you used! Thank you for sharing your free pattern! I'm adding it to my to-do! Thanks so much! I am happy to share and enjoy! I love this! I am pinning it so I can't forget! Thanks Logan and thanks for pinning it! Have a great rest of the week! Thanks so much! I'm glad you love it! Your quilt is awesome!!! Thank you for sharing your talent with us!! Thanks so much Kira! So happy to share and thanks for letting my know you like it! Have a great week! How cool! Love your fabric choices and the design! Thanks Paula! Thanks for visiting today and have a happy thanksgiving! I pinned it as well. It's a great quilt! I want to make it for my Aunt someday. She loves stuff with southwest flair. Thanks Cathy! And thanks so much for pinning it! Hope you get a chance to make it! Have a great week! 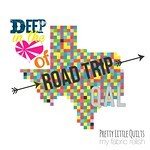 This is perfect for my parents' living room and they have been begging me for a new quilt! :D Thanks!! So happy you like it! I hope you get a chance to make it for them! Send me a pic if you do! 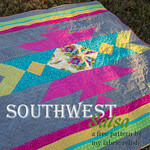 I'm used to seeing Southwest patterns in subdued tones, but I love your take with brights. Great job, Melissa! Haha...yes, it is quite bright! It was so fun picking out the colors for this one. Thanks so much for your sweet words! 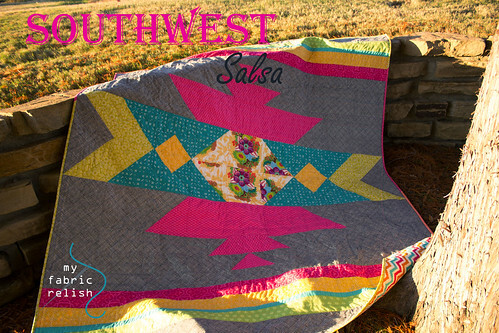 Cute bright Southwest quilt! A caution about EQ - you may find it addictive, LOL! 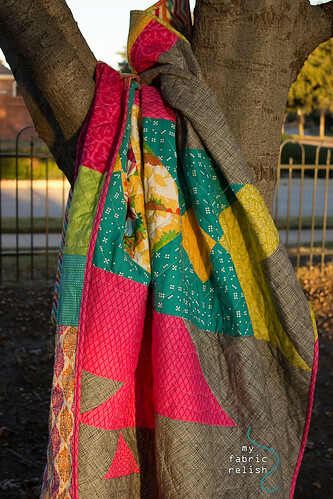 It's so much fun to create and play in EQ, and far less expensive to create virtual quilts than to use costly fabric. Only the very best designs get sewn for real. Enjoy! Thanks so much! It is very much addicting, but it's paying for itself with all the money I save from buying all the fabric. Haha! Thanks for stopping by to visit my blog!! 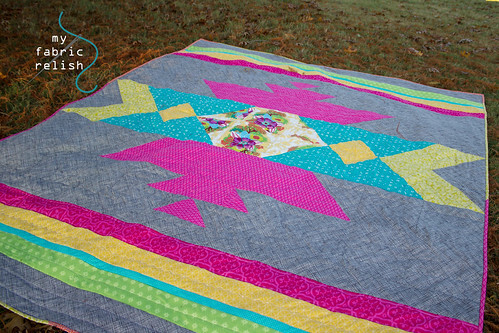 Such a gorgeous quilt! 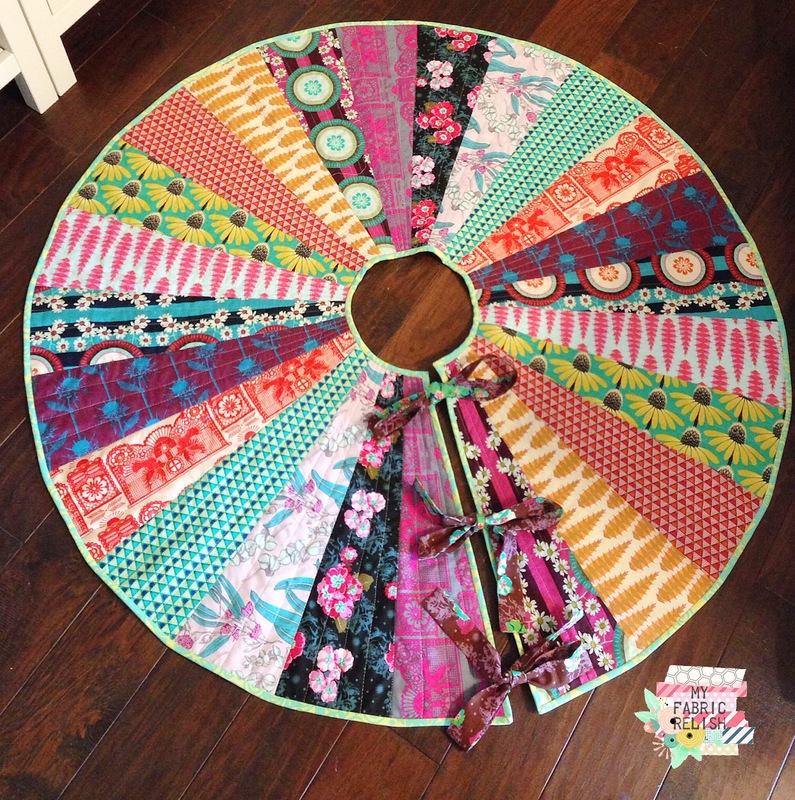 A total eye catcher, thanks for the pattern! Thank you and you are so very welcome! Wow! Gorgeous, and you are offering the pattern free- thank you so very much. 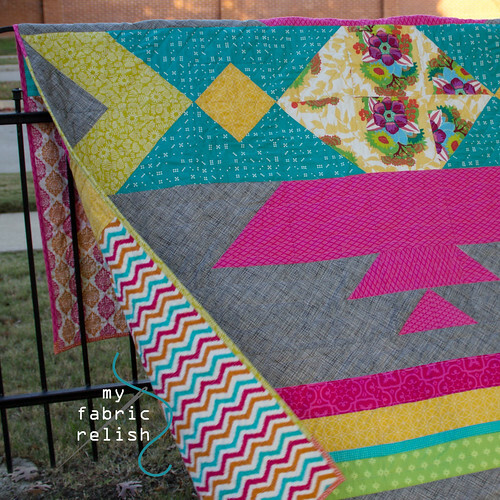 This is such a sweet quilt, you chose fabulous colors. I'm looking at the EQ7 for the Mac, thanks for your feedback. Happy Holidays!! Free is my favorite word! Lol. I'm so happy you like it and hope you get a chance to make it one day and you get to experience the joy of EQ7 soon! Thanks for visiting!! Lovely pattern! You really did a great job with that quilt. Thanks for sharing too! Thank you so much and it was my pleasure to make it to share!! Happy Holidays! Really lovely quilt, thank you for the pattern. 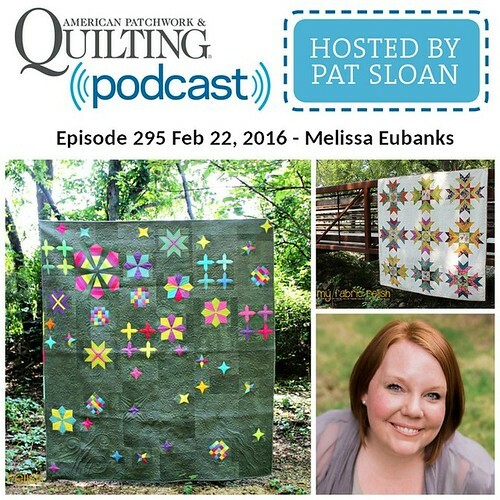 I found your blog from a link in Blossom Heart Quilts, very glad I checked it out! If I get it done before the holidays I will definitely email you a pic. I'm so glad you like it!! It really comes together quickly. Yes, please send me a picture if you make one! Happy Holidays! What a fun quilt! Love the bright colors with the grey. Thanks so much, Renee! Thanks for stopping by to visit and leaving a sweet comment! You should re-save your pattern to include your URL in it, I hoard free downloads and then go through them for inspiration later on and I 'd love to find my way back here should I give it a go in the future. You are so welcome, Terri Ann! Thanks so much for your kind comment as well! I should add my url to the printout...I didn't think to do that. Thanks for the suggestion! Hope you give it a try and let me know if you do it! Melissa! I love this quilt. Your colors are gorgeous. Thank you for sharing. I am glad I was able to get my computer up and going today to see this. I love that you used such bright pretty colors. Hi Jan! Thanks so much for your sweet words! I'm glad you got your computer up and running again too! Thanks for visiting and now I must go see what's going on at the farm! oh wow! 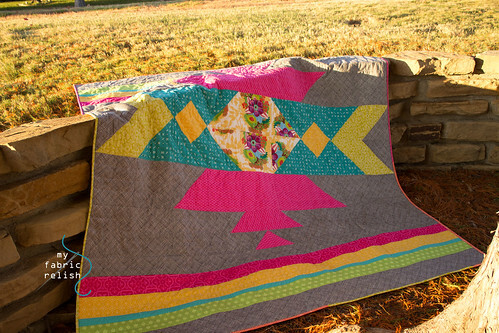 I love the colors that you've chosen, and your quilt captures the Southwest motif fantastically! Thanks Kelly and so very happy to share! Thanks for hosting! 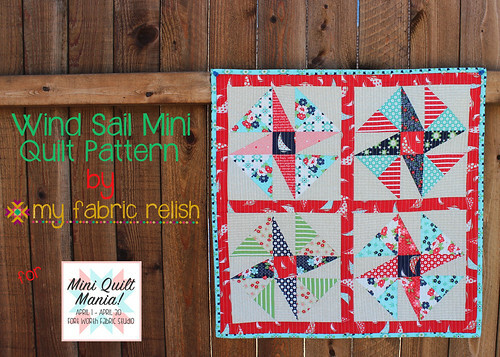 I downloaded this pattern...I love it and the bright colors you used to make it. Thanks !